The jury for 50/50: New Prints 2015/Winter is as follows: Joseph Goddu (Art Advisor and Dealer, American Art), Jodi Hauptman (Senior Curator, Department of Drawings and Prints, The Museum of Modern Art), Jane Kent (Artist and Professor), Andrew Mockler (Master Printer, Jungle Press Editions), Carrie Pollack (Artist, Educator, Avenues The World School), Marc Schwartz (Collector). New Prints 2015/Winter an exhibition featuring forty-five prints by thirty-four artists selected by a committee of print specialists from over 2,000 submissions. Opening IPCNY’s 15th Anniversary year, 50/50: New Prints 2015/Winter is the fiftieth in this unique exhibition series. With all prints required to have been made within the past year, these shows bring to the fore new trends, talents and techniques as they emerge in the field of contemporary printmaking. Many mediums of printmaking are represented, including etching, lithography, silkscreen, and relief. 50 prints by: Golnar Adili, David Altmejd, Steven Arnerich, Ann Aspinwall, Evan Bellantone, Håkan Berg, Mary Lynn Blasutta, Ken Buhler, Deb Chaney, Phillip Chen, Marianne Dages, Thorsten Dennerline, Kevin Frances, Robert Howsare, Travis Janssen, Anita Jung, Hye Lee, Ting Liu, Matt Magee, Jennifer Marshall, Monique Martin, Janis Murovskis, Leslie Mutchler, Elvia Perrin, Chiara Principe, Ross Racine, Szilvia Revesz, Kate Shepherd, John-Mark Schlink, Jelena Sredanović, Rob Swainston, Eszter Sziksz, Jason Urban, Mark Williams, and Hank Willis. 50/50: New Prints 2015/Winter will be on view from January 15 through March 14, 2015. 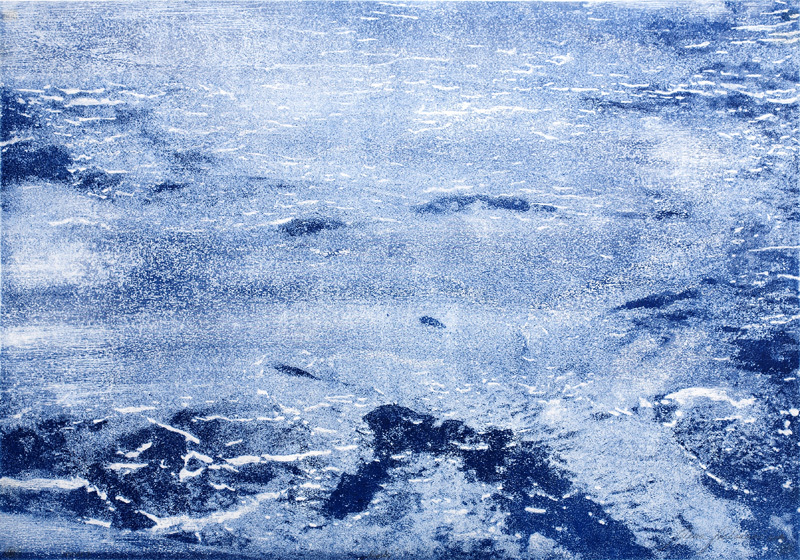 IMAGE: Jelena Sredanović, “Somewhere”, 2014, Woodcut. Edition: 20, Printed and published by the artist.